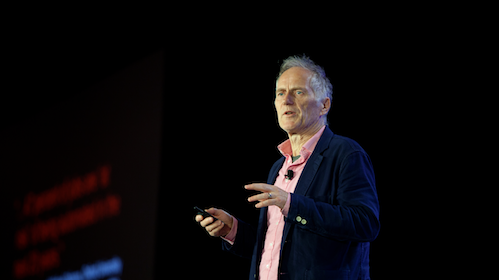 The Salesforce Design Ohana recently invited Tim O'Reilly to be a part of the Design and Innovation Speaker Series. O'Reilly has been a leading Silicon Valley innovator for over three decades. He began his career as a technical writer in 1977, then soon after founded O'Reilly Media in 1983. A student of Classics and Linguistics, he's known as one of Silicon Valley's leading intellectuals, famous for coining the phrase “Web 2.0” and championing the open source movement. I got to sit down with O'Reilly to discuss all things design and innovation – as well as his latest book: WTF? What's the Future and Why It's Up to Us? The conversation highlights, edited for clarity and brevity, follow. Given his decades-long knowledge of the Silicon Valley computing industry, I was curious to get his thoughts on where we are now as well as where we are going in the future. “The arc towards ubiquity” in computing and our increased connectivity to one “ubiquitous, global brain” were very much top of mind. “The future will include further integration of humans and machines. People are going to build new brain capacities that can interface with new devices.” He believes that this will have huge implications for the near-term evolution of the human race. 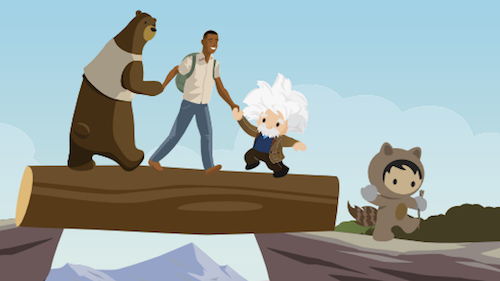 Trust is a core value of Salesforce. Lately, we've been talking a lot about the tension between growth and trust as well as how important designing for trust is to digital transformation. Can we be more transparent about the underpinnings of our technological systems to better understand what drives editorial bias? O'Reilly believes that trust is really about whether or not any given transaction is worthwhile for the consumer. If you give away your data, do you get something of equal or greater value in return? Sometimes consumers are happy to share their information because they know doing so will lead to a worthwhile reward. Even so, the relationship between businesses and their customers continues to be increasingly complex and ever-evolving (i.e. GDPR). This makes designing for trust even more important than ever. Businesses must be proactive and transparent in everything they do to earn consumer trust today. The Design and Innovation Speaker Series is just getting started. Our next guest is Maria Giudice, Founder and CEO at Hot Studio, former Design Lead at Facebook and Autodesk, and author of Rise of the DEO. 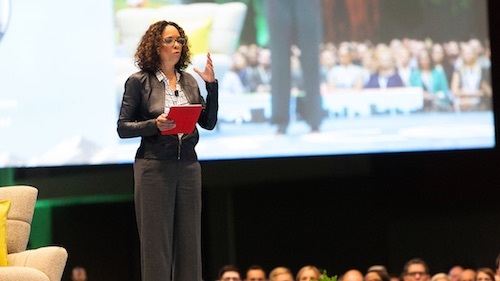 Maria will be interviewed by Seth Bain from the Salesforce Experience Design team on June 26. Also look for Designer, Social Innovator, and Urbanist, Liz Ogbu coming to the Design Speaker Series sometime in the fall. 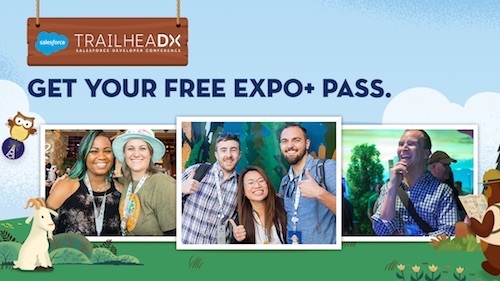 Curious about design at Salesforce? At Experience Design, Ignite, Product/UX, and Corporate Marketing, we're using design to accelerate innovation every day. Check it out today!